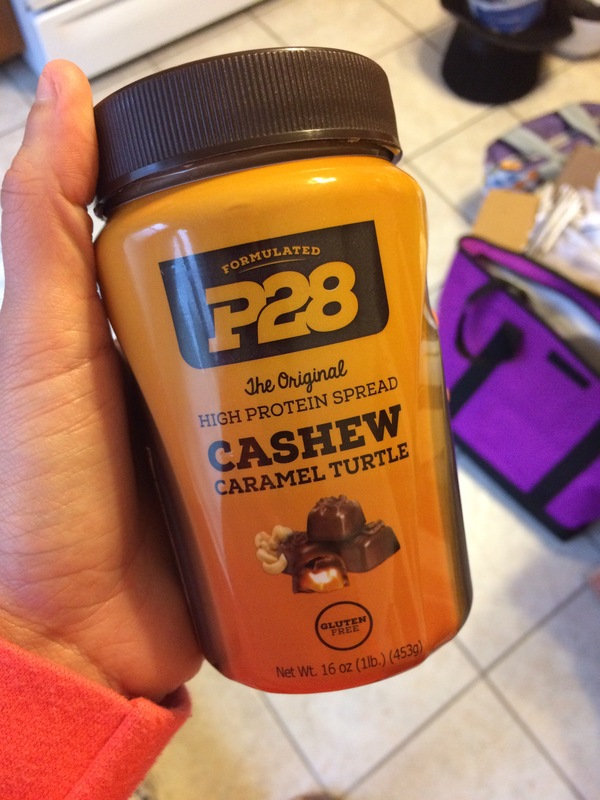 My friend Alicia (@_alicia_h) told me about the BOGO sale at Vitamin Shoppe for P28 high protein spreads… well, that’s as good of an excuse as any to pick some up. I’ve seen the jars before and the flavors always sound good, but I have so much nut butter already that I need to be mindful when I’m buying it. Coincidentally, with the recent move we finished 4 jars of peanut butter because #onelessthingtopack. I opened the Cashew Caramel Turtle spread this morning to have on a slice of coriander raisin bread.IT WAS GLORIOUS. The macros made me slightly nervous, I mean 18f that early in the morning is a lot to dedicate to nut butter, BUT, you can keep in mind that you don’t need to eat a full serving. 1/2T was the perfect amount for the slice of bread I had. 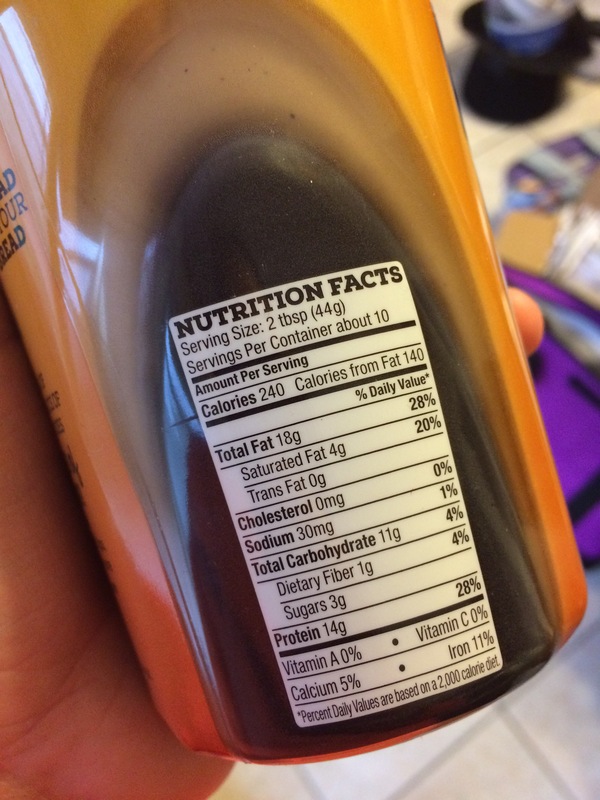 Also, 44g is a huge serving compared to other nut butters, so having a quarter serving wasn’t an issue. I can give up 4ish grams of fat that early. 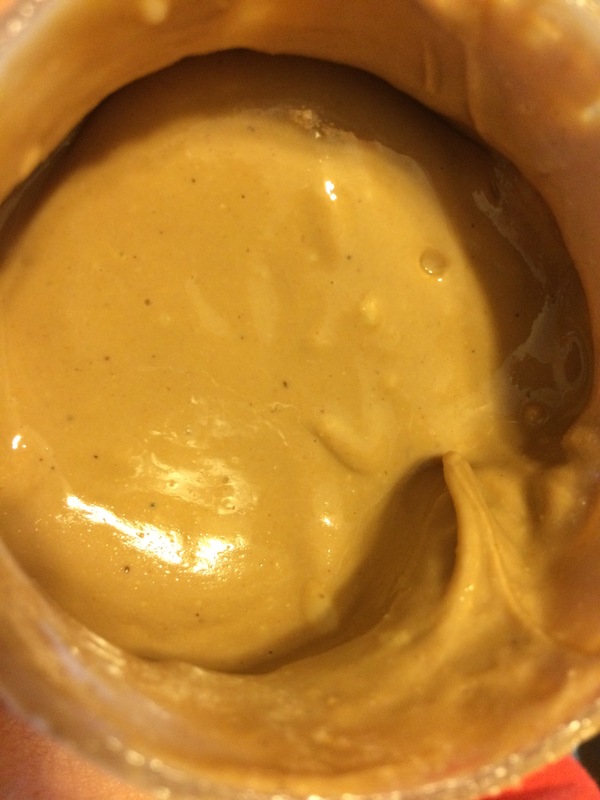 The nut butter itself has a great flavor. It’s definitely caramel-y, but I didn’t get much cashew. That could mean that I just need to get my spoon ready and try it plain. Similar to many nut butters you need to have patience with the fresh jar. It took me about 5 minutes with a butter knife to completely mix the oils and nut butter together. Once it was mixed though, it was a super thick and creamy jar of goodness waiting to be spread. Again, I probably need to try it plain to see if the cashew flavor comes out or if it’s subtle, but I would recommend this for the nut butter lover who wants to branch out. I know I’m grateful that Alicia told me about the sale. I also picked up a jar of apple crispy peanut butter, and once I finish off my jar of tiramisu from D’s Naturals, it will be making an appearance.